Item number 1649/1 from the MOA: University of British Columbia. 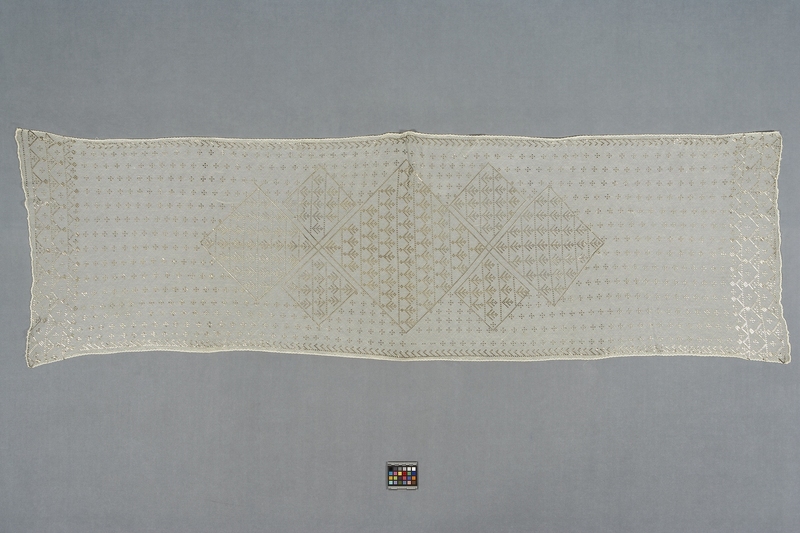 Elongated rectangular shawl made from white mesh-weave fabric. Hand-rolled edge with designs executed with small pieces of metal folded over mesh threads. Narrow chevron border along sides, with wider geometrical borders along the ends. Elaborate geometrical patterns in the centre and a simple overall geometric design.